The “Fair Fashion Festival” takes place regularly in various Dutch cities. The festivals aim is to make clear how important sustainable and fair-produced clothes are. The programs are filled with inspiring lectures, fashionable runway shows, fashion fairs and workshops. 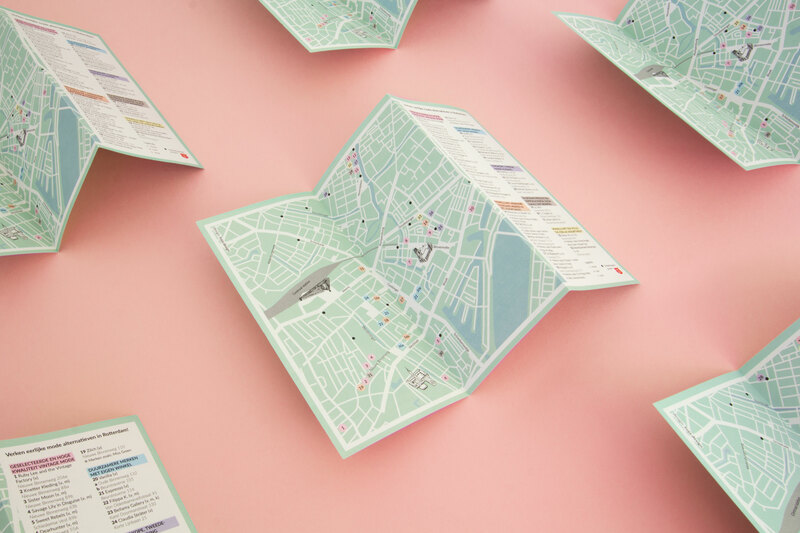 The flyer contains a clear map with the various shops participating in Rotterdam. 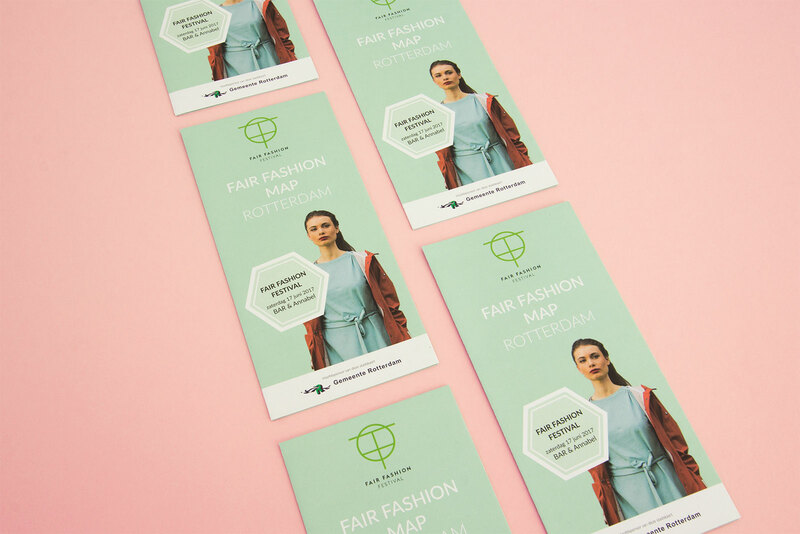 The design is based on the corporate identity of the “Fair Fashion Festivals”.